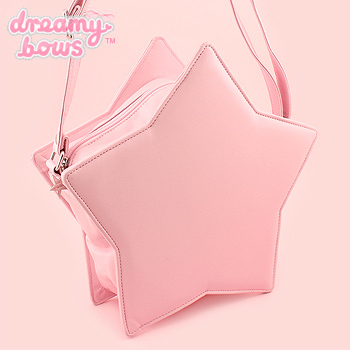 Adorable sturdy adjustable shoulder bag in the shape of a star, featuring a cute star toggle. The bag has a small zip fastened inner pouch to store small things inside and another smaller inner pocket for your phone, tissues, small handy items etc. 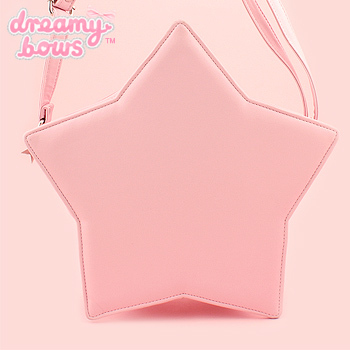 This bag would be perfect for any kawaii styles!